Dual layered makeup remover that effectively removes waterproof and heavy makeup in lip and eye area. 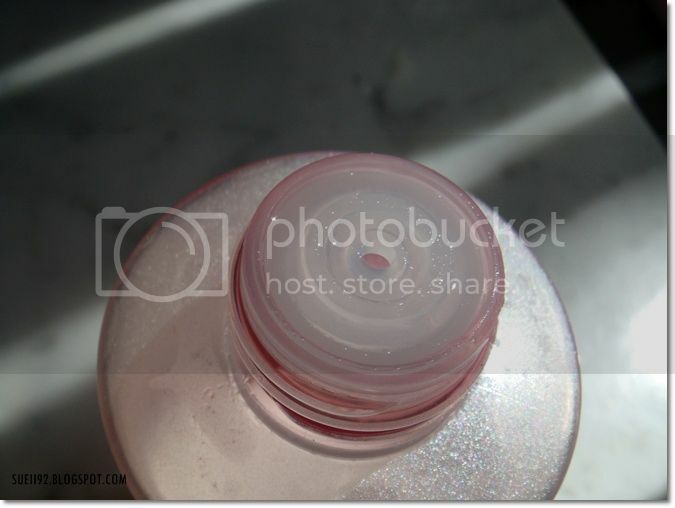 - Dual layered water type remover that instantly forms emulsion to remove heavy and waterproof makeup with gentle shake. 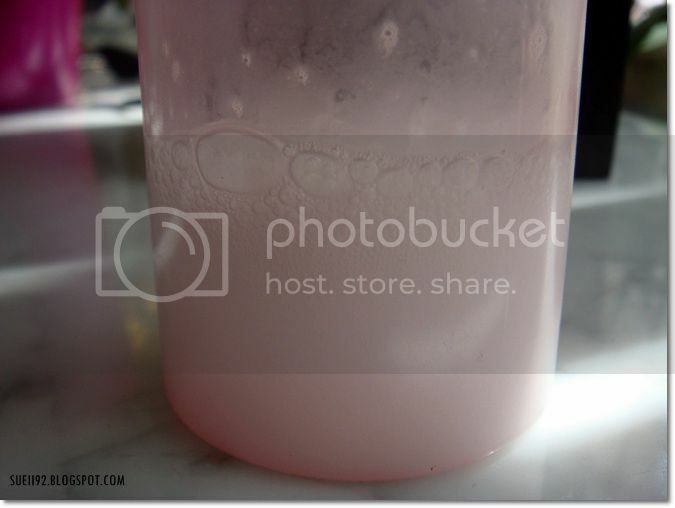 - Water lily extract purifies skin impurities and smoothes the skin. 3. 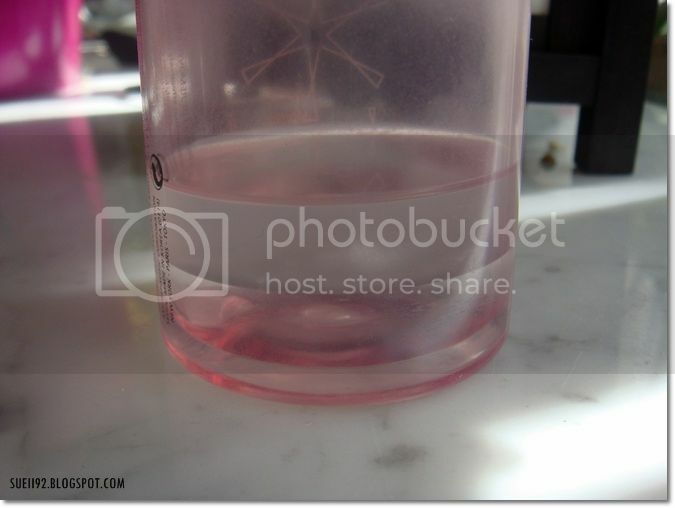 Put it on the eye and lip eye area for about 5 seconds to dissolve makeup residues. The pink packaging is cute and the scent smells like the Laneige Multi Cleanser. Also what I like is dual layered liquid will keep blended for couple of minutes after the shake. Which means you just have to shake once, unlike other waterproof makeup remover which you have to re-shake to blend the two liquids before every use. It does the job very well, if you use a proper amount of product. It also takes time and patience to remove all the makeup effectively. 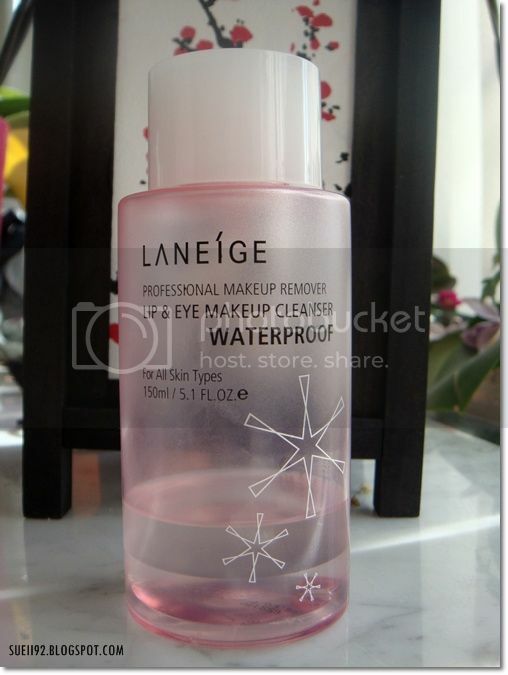 Overall good waterproof makeup remover. But still the Neutrogena Deep Clean eye & lip makeup remover is still faster in removing makeup.